The first shot we’re going to learn is how to flight a golf shot a little lower into a back-hole location on a green. The reason is to hit the center of the green then have some ability to release to the hole. Setting up, the ball is going to be slightly back in your stance and grip down on the club slightly. You’ll have a little more weight to your front side that’s going to get the angle of the club a little sharper into the ball. Another tip is to control the speed of your swing. The faster you swing the club the more back swing you’re going to have and the higher it’s going to go. So, the general rule is ¾ swing with ¾ speed. Lastly, when you finish, feel very soft with your arms. You want your arms to almost pointing toward the direction of the shot, not finishing high. 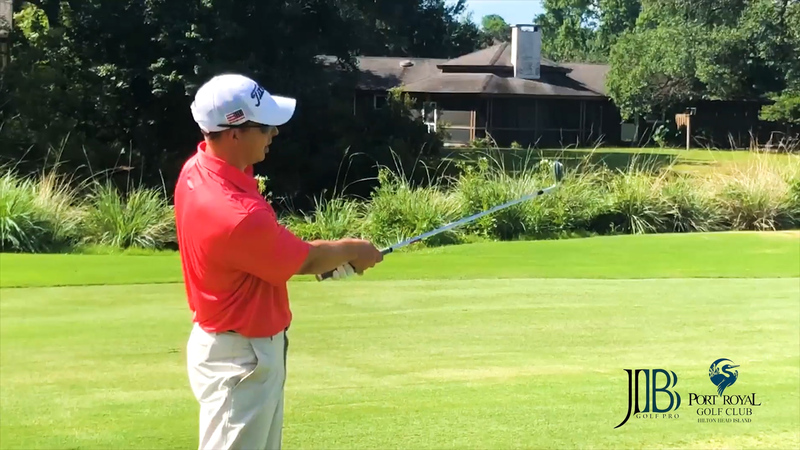 Head Golf Pro, Josh Bialowans helping you learn how to shape your trajectory. The other tip is to hit it low or into the wind. You should feel like the back of your lead hand is going to go down just a little bit toward impact. A little more bow and a little more handle-lead into the shot is going to deloft the face down. To hit it low feel like the back of the left hand is bending down and you’re going to finish very soft. The second shot is going to hit the ball a little higher, you would use this to hit over something like a tree or bunker that’s guarding the front part of the green and the hole location is in the forward part of the green. You want to hit it high to carry all that and have some spin at the end. In the set- up, the ball position is going to be forward in your stance and the handle of the club is slightly back. That’s going to add more loft, then you want to feel a little more of your weight on your back leg. Set up has a lot to do with it as well as your inswing. Your inswing thought is to create a little more speed at the bottom of the arch, that’s going to create some backspin to launch it into the air. Try these shots to either hit a low shot into the back location or hit high onto a front location. 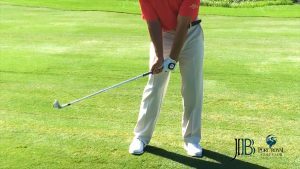 How to angle of the club a little sharper into the ball. Save Now on Spring Golf! Do you need help planning the perfect golf vacation? Book online for any of our five courses or call 843.681.1750 for tee times. Only members enjoy advanced tee times, exclusive tournaments, exclusive social events, merchandise discounts, and more!